Supervisors should therefore … adopt a robust, ‘belt and suspenders’ approach that takes the greater of the two shortfalls to assess bank capital adequacy. Underlying the economic and political upheaval unleashed by Brexit is another concern: the worry that European banks may not be able to survive another crisis on the order of the 2008 financial crisis. 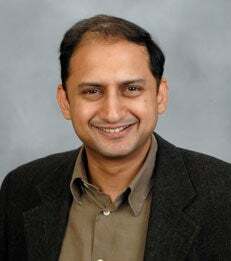 NYU Stern Professor Viral Acharya investigates the banks’ stability in the wake of the European Banking Authority’s own analysis and finds potentially large shortfalls should another crisis occur. The EBA’s recent stress test did not disclose any capital shortfall, but was meant to provide information about banks’ likely performance in an adverse scenario. Professor Acharya’s and co-authors’ analysis, however, revealed a total 5.6-billion-euro capital shortfall for the 51 participating banks, applying previous 2014 EBA capital requirement rules. As a comparison, the authors used the Federal Reserve Board’s CCAR stress test capital rules to assess the readiness of the 34 European banks that are publicly listed. This test as well as another, market-based approach from NYU Stern’s Volatility Lab, or V-Lab, both yielded results markedly different from – and more worrisome than – the EBA’s result. The CCAR analysis revealed that the capital shortfall of banks participating in the EBA stress test was a total of 123 billion euros. Although the magnitude is different, the ordering of banks with capital shortfalls is similar between the CCAR 2016 approach and the V-Lab market-based approach.